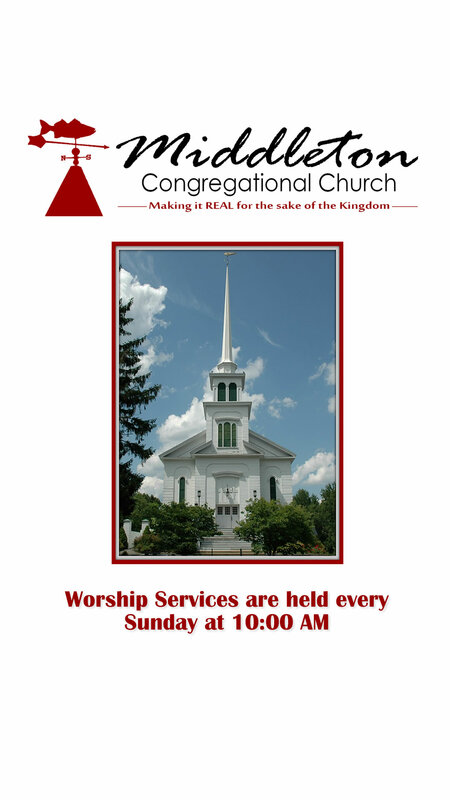 The vision of Middleton Congregational Church is to provide, by the power of the Holy Spirit, the most relevant, engaging, accessible and loving (REAL) presentation of the Gospel of Jesus Christ through congregational Christian worship, discipleship and service; so that the people of God might be equipped to share that Gospel with the world! Please take a few moments to look through mobile app to learn how our church is “Making it REAL,” opportunities for spiritual growth and fellowship, and the people of God at MCC. Thank you for spending some time here and may God bless you and your family today and always!